Maldives, a nation made up of over a thousand islands and completely surrounded by water. This island nation is extremely vulnerable to rise in sea level and is in danger of its majority of land being submerged by the end of the century. Many other island nations such as Kiribati, Marshall Islands and Barbados are also facing dangers of sea level rise. In the near future we have to adapt, and adapting to living over water when land becomes scarce or when there is no more land available. 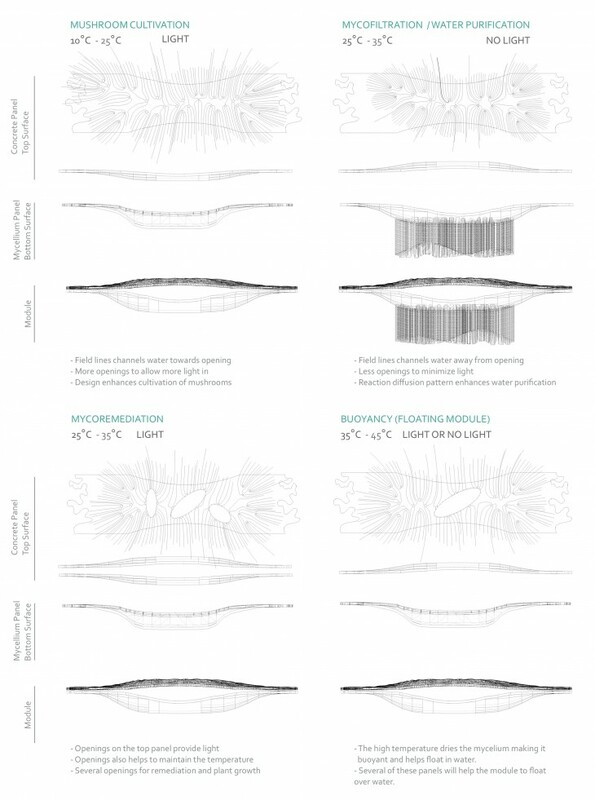 Designing and building in close relation with nature could be the only possible solution to remediate a predictable catastrophic world. 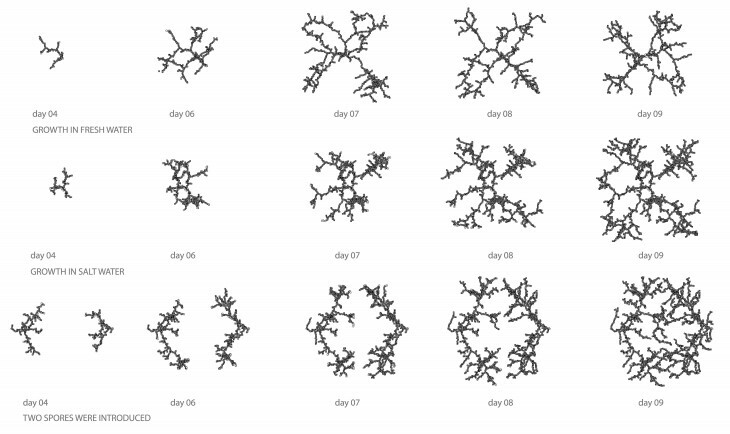 The main material experiment in this research is Mycelium. 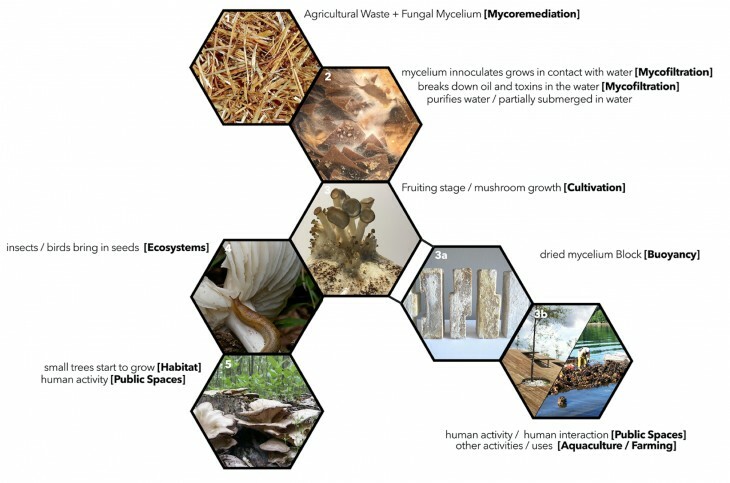 Mycelia or roots from the Oyster Mushroom (Pleurotus Ostreatus), have a good growth rate in salt water, possess great strength and also help in the breakdown of oil, which could be useful in cleaning polluted ocean water. 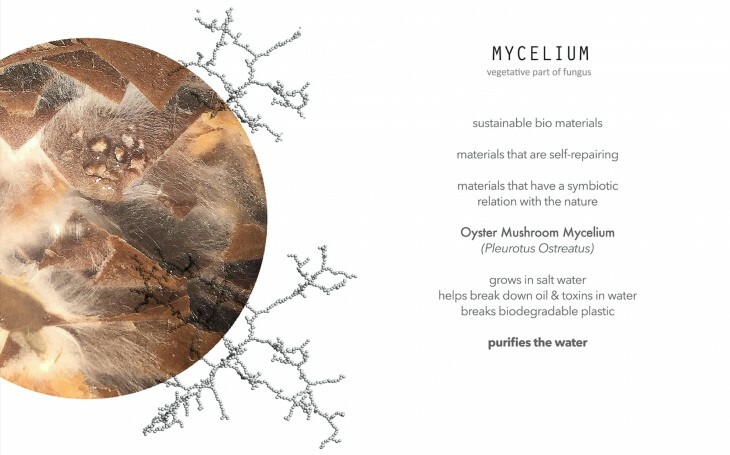 Mycelium has other special properties such as being fire retardant and buoyant, making it possible for it to float on water. 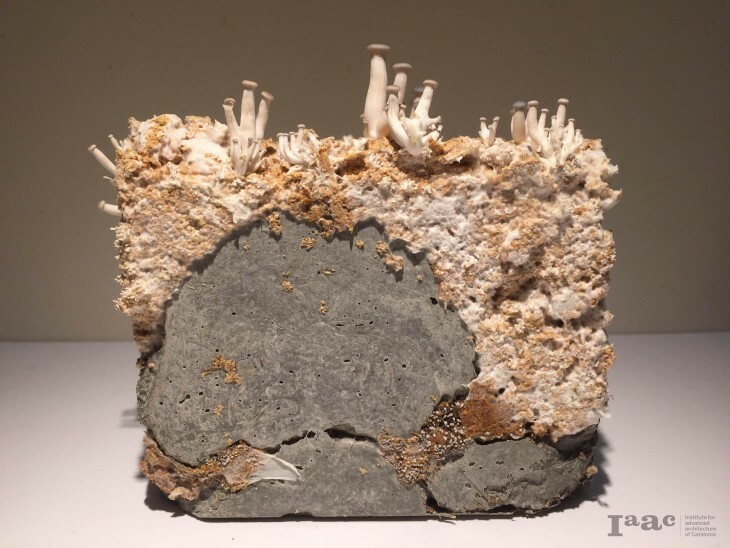 Mycelium and concrete reinforced with natural coconut fiber would help purify the water, grow over time and at the same time provide structural strength. 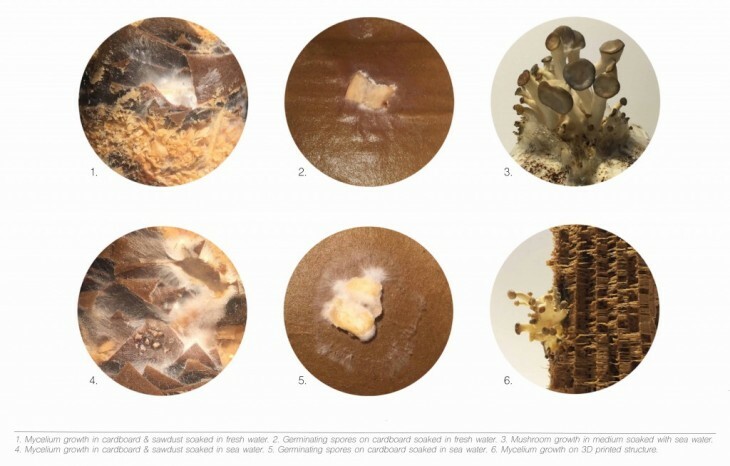 Coconut fiber is relatively water proof and resistant to damage by saltwater making it a perfect natural binder for Mycocrete. 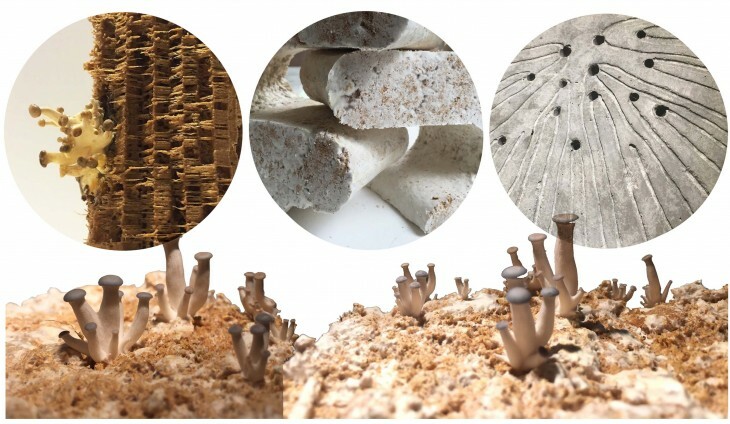 The module was designed in such a way that it would enhance the growth of mycelium and mushroom and also maximise the purification of water. 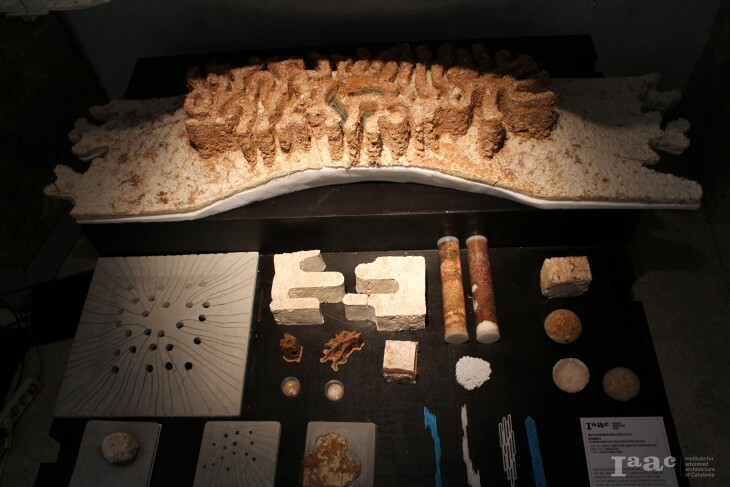 The module is made up of two parts which bind together with the help of natural fibers. 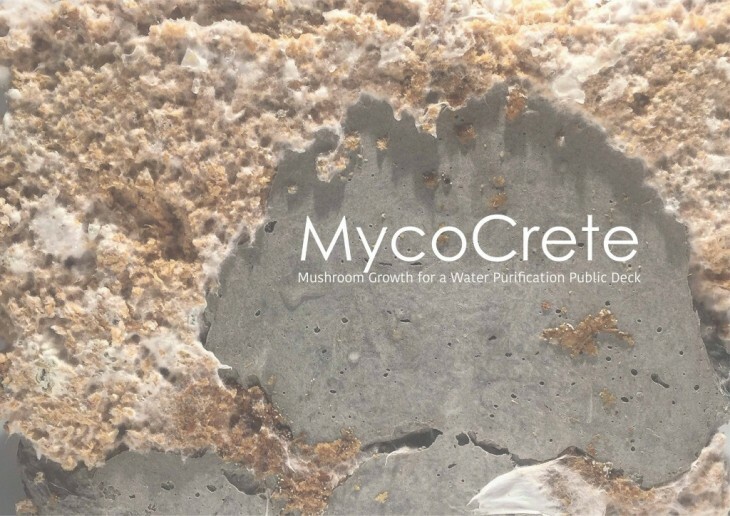 The concrete layer enhances or channels water towards the mycelium or away enhancing the growth according to the growth conditions required by the module. These modules when put together as a modular structure would create a platform or deck over water. 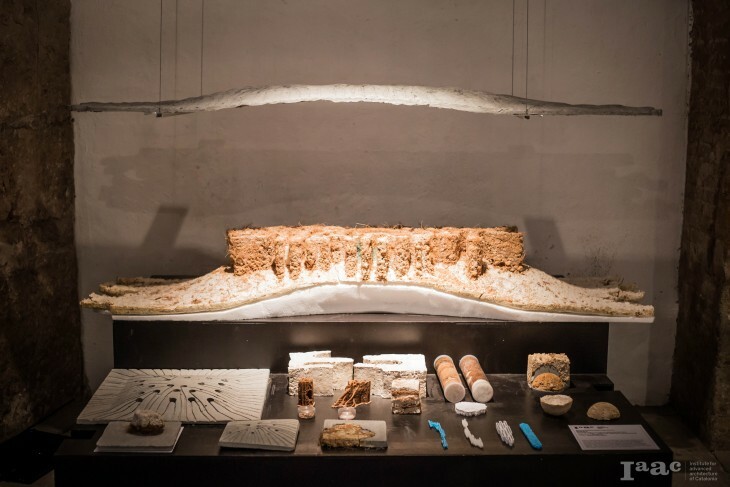 A floating structure with the help of the mycelium’s buoyancy. 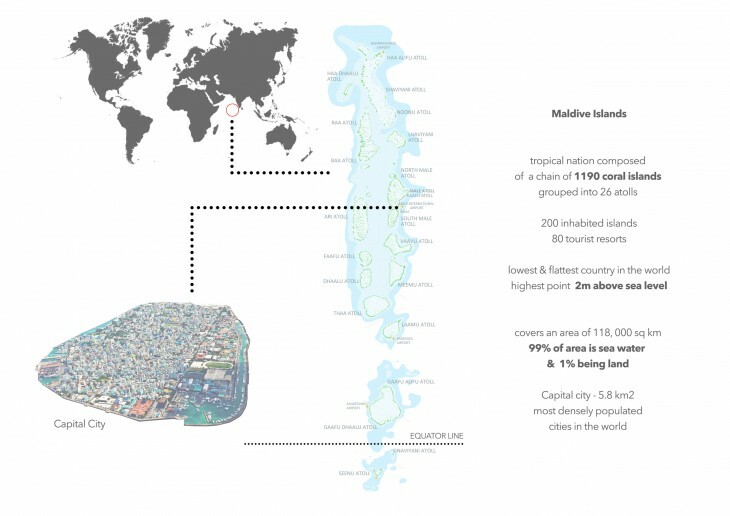 Forced migration and becoming environmental refugees is not an option for the people of these island nations, hence an alternative to adapting to sea level rise.